Have you struggled to find the perfect dealership experience in the Elmhurst, IL area? Make the drive to Bill Kay Nissan to get the buying experience you deserve. We do business “The Bill Kay Way”. Which means that you’ll get a great product at an affordable price and a team that’s willing to work out a deal that moves at your pace. Continue reading to learn how our philosophy impacts every area of our dealership, or make an appointment to visit us by calling (888)448-1554 to find out more! Whether you’re ready to buy new or want to get into a high-quality used or certified pre-owned car, truck, or SUV, Bill Kay Nissan has the expansive inventory you’ve been searching for. Browse through our new Nissan inventory or our selection of used models to discover the model that your daily drive demands. You can even drive at a discount with our new car, used car, and CPO specials! 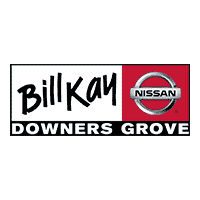 If you need an affordable auto finance plan or lease deal to get behind the wheel of a new car, truck, or SUV, Bill Kay Nissan near Elmhurst, IL is the ideal location to do so. Check out the current factory incentives and find your deal today! Take care of the paperwork ahead of time by getting pre-approved for your loan or lease deal with our online application. Stepping into a new car or a car that’s new to you is easy with us! Is it time for an oil change, tire rotation, or other routine maintenance services? If you can’t seem to find a great deal in the Elmhurst, IL area, check out the auto service specials and coupons available at Bill Kay Nissan! Find and print out our current coupons to have your car serviced by a factory-trained technician at a discount! How can I get from Elmhurst, IL to Bill Kay Nissan? The trip from Elmhurst, IL to our Nissan dealership will take less than 25 minutes. Our commitment to ‘The Bill Kay Way’ is what sets our team apart from other dealers you find in the Elmhurst, IL area. From our auto service center to our finance experts, everyone at our dealership focuses on providing 100-percent customer satisfaction. Get in touch with our team through our inquiry form or by phone at (888)448-1554 to learn more about our available products and services.